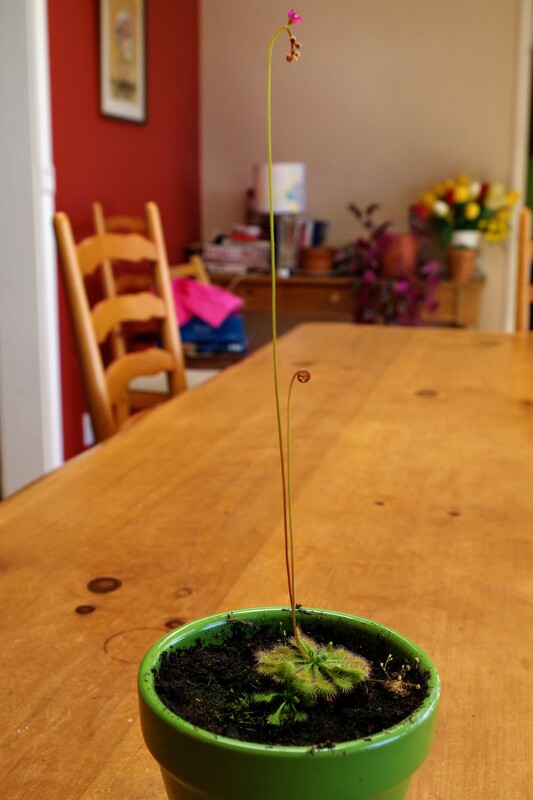 Sundews (Drosera) are famous for eating bugs by trapping them in the sticky tentacles on their leaves. But they still need bugs occasionally to reproduce. When it comes time, the plant builds an enormous stalk to put its flowers at arm’s length. Any pollinators visiting their tiny blooms won’t be at risk of becoming the victim of friendly fire.